We are the leading supplier of Embroidered Clutch..
Banjara Clutch bag available in different design in Multi color. A range of exquisite designs and unrivaled quality, made of finest leather. We have something for every one. We are offering wide range of qualitative Vintage Handmade Kantha Purse, these are available at very reasonable price in market. 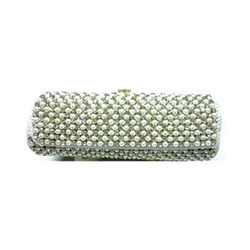 We are the prominent manufacturer, exporter and wholesaler of vintage purse, these are highly appreciated by among our client for their unmatched quality. 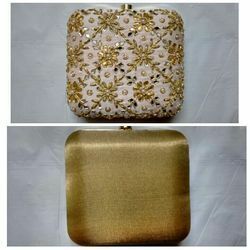 - Full embellished clutch, has Magnetic Button closure with metal chain strap. We are the leading supplier of fold over clutch bag to our clients. This is something new and different for the evening. Fabricated in snake print faux leather.